A volcano goddess named Keegan is loose in the world, and the prophecies are unclear whether her coming will bring humanity’s destruction or salvation. In the shadow of a sacred volcano, from which Keegan derives her powers, lies the ancient city of Azar. Holding the key to the mysteries of her past, Keegan and her friends must get to Azar before it is overrun by a horde of forest monsters. Meanwhile, The nefarious Cult of the Goddess has plans to summon forces as old as time to extinguish Keegan’s flame permanently. 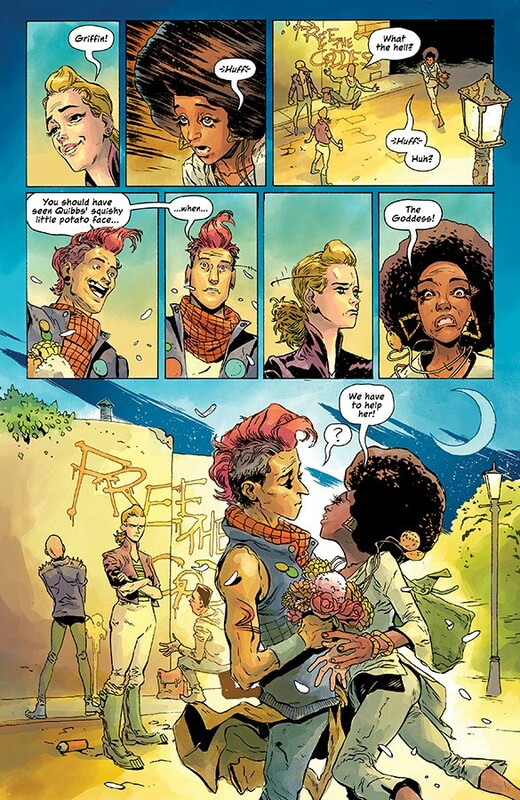 From the number-one New York Times bestselling cartoonist JOHNNIE CHRISTMAS (Angel Catbird, SHELTERED) and superstar colorist TAMRA BONVILLAIN (Doom Patrol, Moon Girl and Devil Dinosaur) comes a fiery tale you’re not soon to forget! Collecting the full saga that began in ISLAND magazine, with all-new material!